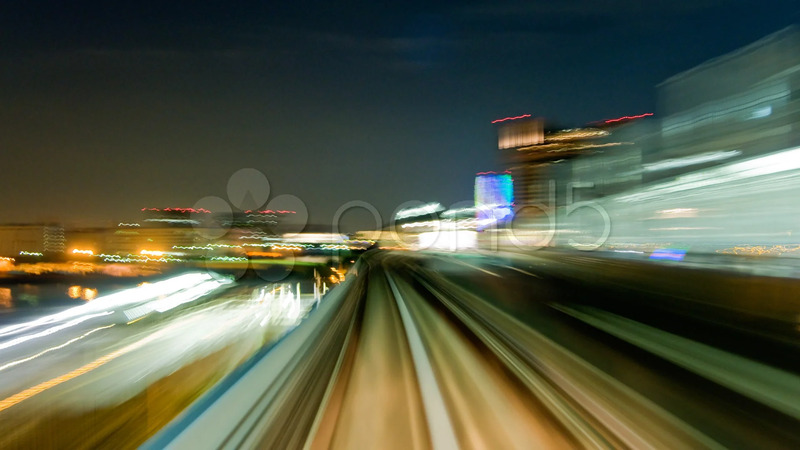 Description: POV time lapse view of the elevated railway through Tokyo. Great rhythm to the stop and start of the train, and it can be looped by reversing it at the end, (the same way the train actually runs). Very detailed clip and slightly brighter than the thumbnail.